In winters my favorite evening snacks are Rolls. 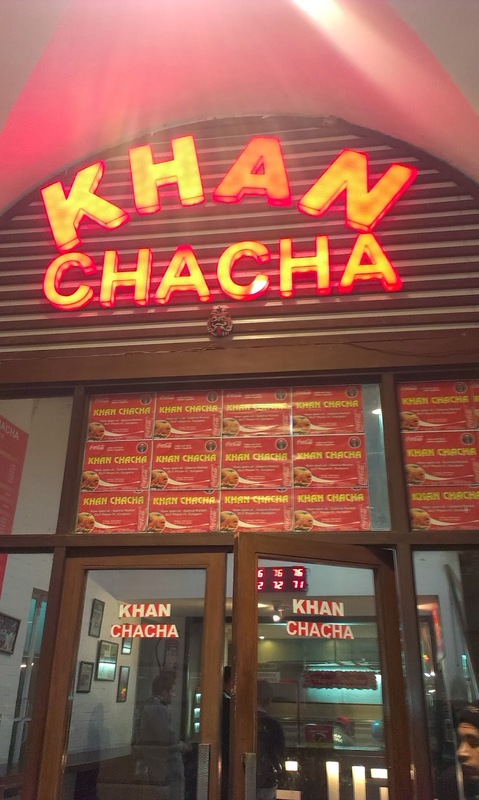 I like Khan Chacha rolls. Recently, I went for the movie Wolf of the Wall Street at Odean, Connaught Place. Next to Odean is this place Khan Chacha Rolls. 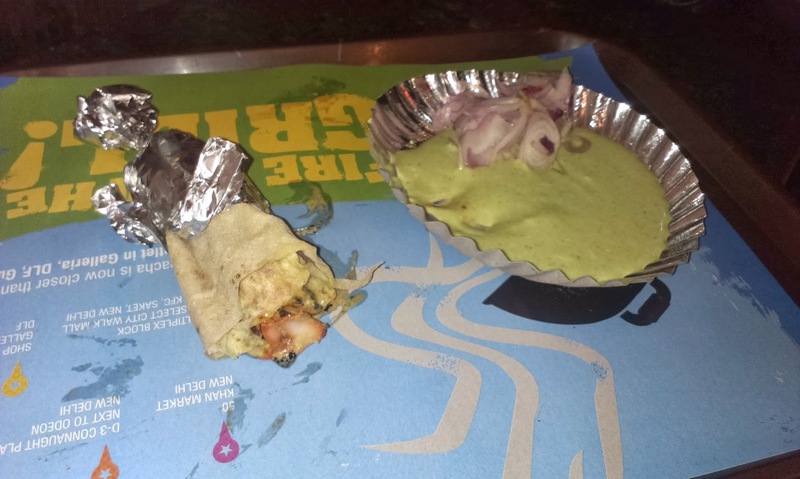 I ordered Chicken Tikka Roll. They have variety of Non-Veg. Rolls. 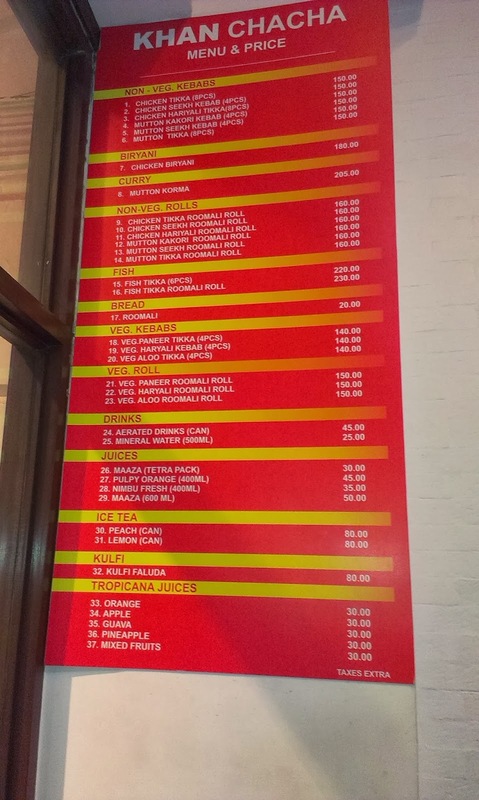 In Vegetarian they have Paneer Tikka Rolls and Veg. Haryali Rolls. The sitting is on the first floor; you can also stand on the ground floor and eat. 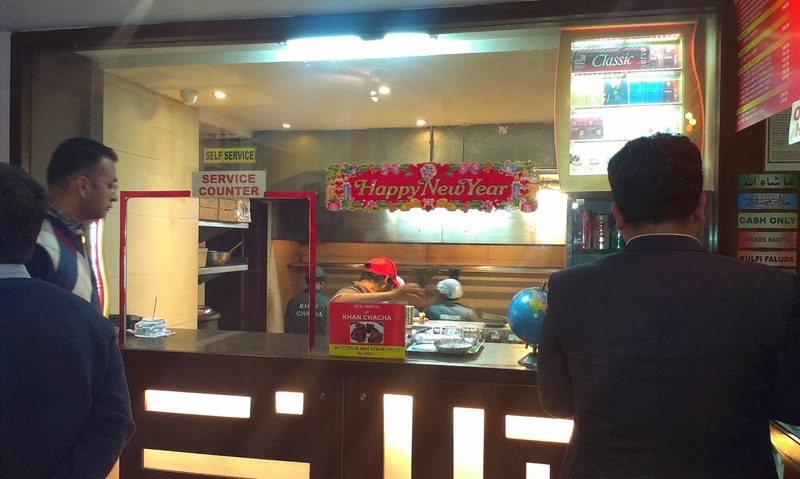 I don’t prefer eating on the ground floor because the cash counter is on the ground floor and I keep on ordering if I eat there. Nice Non-Vegetarian Rolls but Vegetarian Rolls are not so great only average.